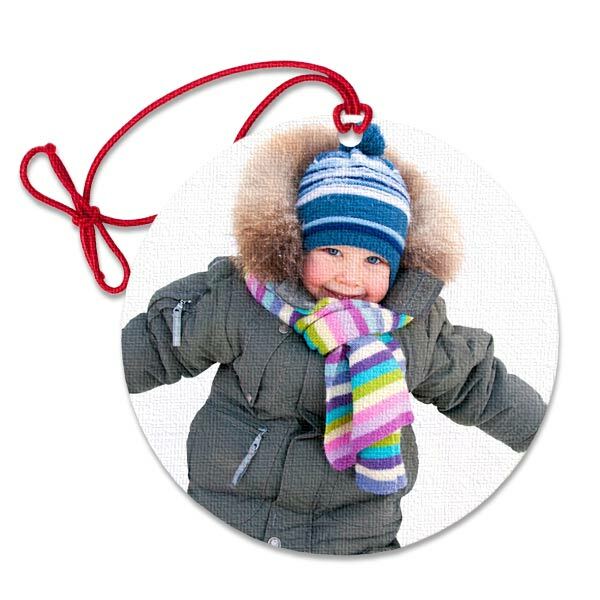 The doubled sided flat circle classic ornament with a canvas texture will look remarkable on any tree. Ornament measures 3.94″ in diameter. These ornaments have a single image printed on both sides.